Be the first to hear about their new releases and deals. Download the Booksprout app and search for Jennifer Millikin today! Jennifer Millikin writes contemporary romance and women's fiction. She's the author of The Day He Went Away and Our Finest Hour (The Time Series Book One), and a contributor for Scottsdale Moms Blog. 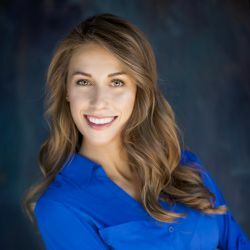 Jennifer graduated from Arizona State University with a degree in Communication Studies and lives with her husband and two young children in Scottsdale, AZ. When she isn't chasing after her little ones she can be found gulping coffee in her office, typing furiously at her keyboard, and reenacting scenes.